As a new Internet entrepreneur you have many choices in almost every aspect of your business, starting from programming to promotion, management and long term strategic reporting. Often options can look very impressive but they may not work for your industry type. 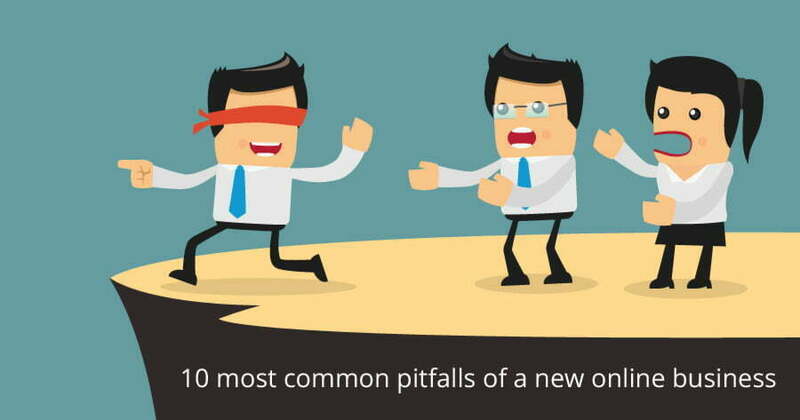 Below are some of the most common pitfalls we have seen. The most common error we see is “build it and they will come”. Almost any type of an audience can be reached via the web but a formal plan of action should be in the works even before the programming begins. Bias towards a technology, as technologies grow so do their proponents and opponents, discounting a technology just because of its perception of being old or expensive should be avoided. A logical study into the available options and a selection that matches all business parameters is ideal. Assumption that various technologies cannot be used simultaneously, the web is now a very complex union of many competing technologies but thankfully every technology has made a conscious effort to communicate with even competing technologies, this makes it easier to pick and choose what works for a specific business process and integrate technologies together. Overthinking the process, during the design process various permutations and combinations are to be considered but these must not overcomplicate the UI. A simple application is a successful application. Targeting the world is easy but targeting a portion of the world is more effective and profitable, finding a niche is crucial to the success of a venture. Saving money on hosting by choosing an unreliable company. The performance, availability and reliability of a system are directly affected by the hosting provider chosen. Picking a company that’s reliable is key to a successful site. Programming using open source resources without completely planning for the long term management and upgrades for the components incorporated, open source technologies are probably the best thing thats happened to the Internet but most entrepreneurs do not completely gauge the long term management needed. Underestimating potential for growth. As traffic increases and the user base grows all systems need to undergo a change towards more automation and simpler process flows which should commence sooner rather than later. Unreliable customer support. New systems often do not have a formal support structure and general employees may double up as web site support staff, under these circumstances support may take a back seat and consequently the websites reputation suffers. Underestimating the need for supporting smart devices, almost every web system has potential of being used on a smart device, this is often ignored and systems that work great on a computer fail to enthuse users who are spoilt for choice on their cell phones! Pulse Solutions works with entrepreneurs from across the world, its a privilege to be able to work for such a large number of very driven individuals. Tell us more about how you fixed a business problem or add to this list by posting a comment below.